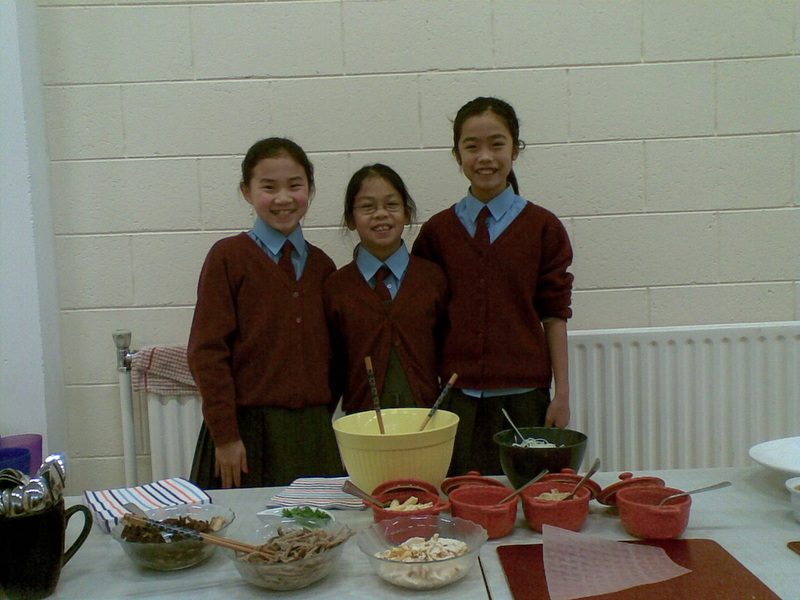 Goretti Daughton and Maura Kearney came into school to introduce us to the Vietnamese culture. 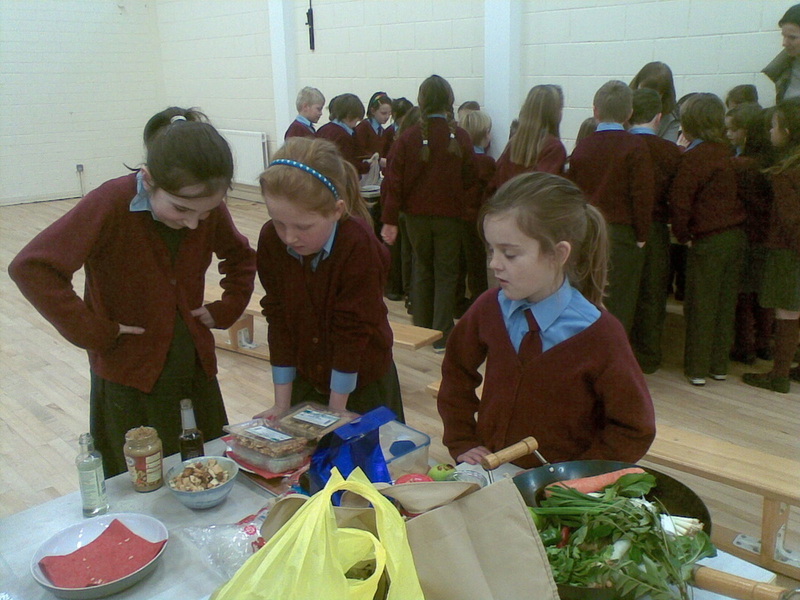 Goretti Daughton went into a Vietnamese supermarket in the city centre to get loads of food.Goretti brought lots of different types of food into school.4th Class up to 6th Class tried some noodle soup and they all liked it. 3rd Class down to 1st Class tried Vietnamese meatballs with some rice with onions and sauce. Each Class got to sample each others food and we all got to smell some strange ingredients. All classes then sat around a table of ingredients. Goretti and Maura asked us some questions about Vietnam and if we got the correct answer we got a strawberry flavoured sweet.